Note: This article is an introduction to G-SYNC. A last-minute surprise preview arrived at the Blur Busters Lab – NVIDIA sent us a G-SYNC display to preview, a new gaming computer monitor technology. 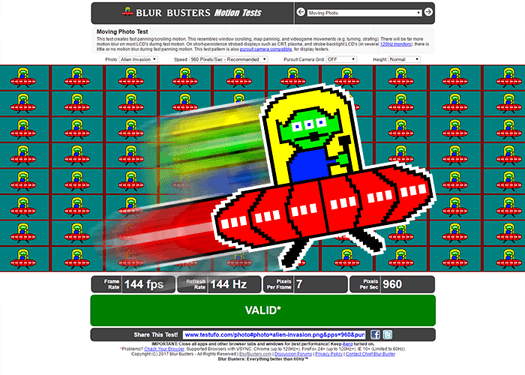 Welcome to the first part of a series Blur Busters articles on previewing G-SYNC. For those who missed our earlier NVIDIA G-SYNC post, G-SYNC is a new hardware technology that allows a monitor to have a variable refresh rate. In short, it is a monitor hardware technology that simultaneously (1) eliminate tearing, (2) reduce input lag, and (3) eliminate stutters. Ever since the first televisions of the early 20th century (the Baird and Farnsworth), it always took a finite amount of time to transmit (scan) the frames from a video source (e.g. GPU) to the display (e.g. LCD). Due to this old standard of fixed refresh rates, there are side effects that occur during games (e.g. tearing, stutters) caused by the display. Before we dive into G-SYNC benefits, we demonstrate motion fluidity issues found on displays. NOTE: Ensure that the animations below are running flawlessly. See web browser requirements. We recommend temporarily closing other apps and browser tabs. Re-enable Windows Aero mode (browser animations stutters more in Classic mode), and use the primary monitor only. Although most major browsers can do accurate animations, Google Chrome works most reliably. This animation demonstrates what often happens when you turn VSYNC OFF. You witness tearing, which shows up as disjointed artifacts in the moving vertical bar. This screenshot (Bioshock Infinite) shows tearing, where the statue in the middle is disjointed, as well as the rail and buildings to the side. 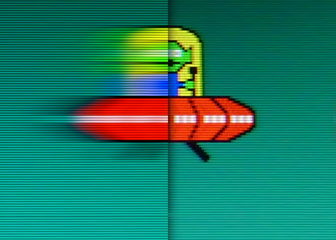 During fast horizontal panning motion, disjoints show up randomly all over the screen, similiar to the above animation. Trying to replace the frame during mid-scan, creates a tearline. The position of the tear depends on how far along the scanning is, as seen in the high speed videos earlier. It can also be caused by the display, since the graphics card has to wait for the display to finish refreshing (an old fashioned scan-out) before refreshing a new frame. During VSYNC ON, if your graphics card is not running flat-out, these frame rate transitions can be very jarring. These sudden changes to frame rates creates sudden changes in input lag, and this can throw off gameplay and aiming, especially as action gets heavy in a first-person shooter game. The red line (VSYNC ON) below illustrates this jarring effect relative to the green line (which represents VSYNC OFF and G-SYNC). We have created a web-based animation that demonstrates variable frame rates with no erratic stutter effects, to simulate what a user experiences when using G-SYNC. The web-based animation below shows a seamless transition through variable frame rates (using a software-based interpolation technique). G-SYNC does this even better, in hardware (no interpolation), and in an ultra-low latency manner, and with no tearing. The first game we played, a game of Battlefield 4, with G-SYNC. With G-SYNC, you can continuously turn from complex scenery (e.g. open space) to low detail scenery (e.g. wall or floor), without seeing a single erratic stutter. The series of photos below show that you can turn back and fourth from complex scenery to simple scenery, experiencing massive changes in frame rate, in an ultra-smooth manner. You do get the “low frame-rate feel” if the frame rates go low (e.g. 30fps), however, now the monitor refresh is always synchronized to the refresh rate, eliminating stutters. Playing at 47 frames per second? The monitor is now at 47Hz. Playing at 131 frames per second? The monitor is now at 131Hz. The refresh rate of the monitor can change every single frame – The refresh rate can change over 100 times per second. Via NVIDIA’s G-SYNC, the monitor is now always synchronized to the frame rate – the graphics card is now controlling the monitor’s refresh dynamically, without waiting for scheduled, granular refresh intervals. This is accomplished through an equivalent of variable-length blanking intervals between refreshes. The monitor is held in a blanking interval until the next frame is ready from the GPU, and then the monitor is immediately refreshed. Since the game is already pre-positioning object positions in the frame, random frame rates can look smooth, provided the timing of the on-screen object positions within frames, stays in synchrony with timing of presentation of the frame to human eyes (i.e. when the frame is scanned-out to the display). 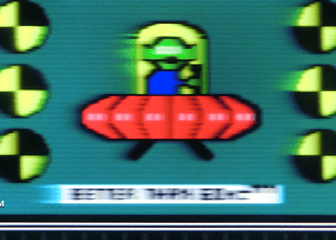 With variable frame rates, the only side effect is variable motion blur (as seen in the above animation). 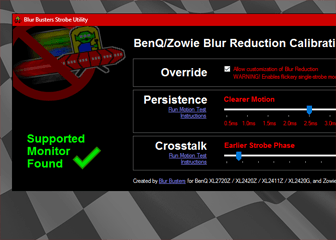 We already know that lower framerates create more motion blur even at fixed refresh rates too (on a regular LCD), as shown at the www.testufo.com 30fps-versus-60fps animation demo. 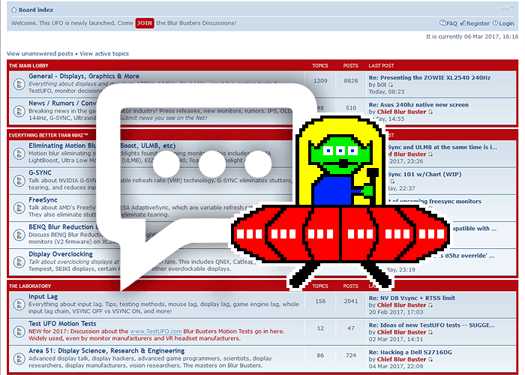 Without stutters, it feels like a major upgrade bigger than a typical full-generation GPU upgrade! In this situation, any gamer can be more comfortable in Ultra quality settings. G-SYNC feels like I’ve upgraded the computer with a major GPU upgrade (that feels bigger than one generation). I also upgraded to a GeForce GTX Titan simultaneously with testing G-SYNC, for a double-whammy upgrade in gaming experience. 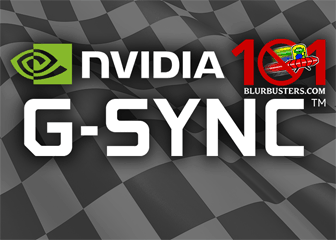 With G-SYNC, you gain the best of both VSYNC ON and VSYNC OFF worlds. You get the higher frame rates of VSYNC OFF (during the G-SYNC range of 30Hz through 144Hz) without the input lag penalty, and no tearing at all. For those who cannot wait, Overlord Computer has a limited number of units available. 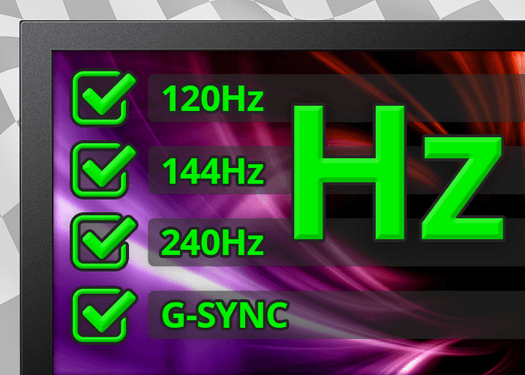 There are several G-SYNC monitors arriving in 2014, and will be added to our Official 120Hz Monitors List. Also, the ASUS VG248QE monitor is also upgradeable to G-SYNC. More information will be forthcoming in Part #2! G-SYNC Easter Egg #1: The “fps_max” command in Source engine games, ends up controlling your monitor’s refresh rate! With fps_max 111; the monitor runs at 111Hz. With fps_max 143, the monitor runs at 143Hz. This can potentially reduce input lag, if this allows the game engine to do input reads (mouse/keyboard) immediately during rendering the frame, which is immediately sent to the G-SYNC display. This is fresher input reads than pre-rendering the frame and then waiting for traditional VSYNC. G-SYNC Easter Egg #2: Quake Live runs at a fully synchronized 125 fps with G-SYNC. Because the monitor is not maxed out (at its maximum 144Hz), there is actually no VSYNC ON input lag penalty with G-SYNC at this particular frame rate! G-SYNC Easter Egg #3: Input lag in Sky Rim is noticeably reduced in G-SYNC mode. Even though it only runs reliably at 60 frames per second, G-SYNC delivers each “60Hz” frame faster to the monitor, reducing input lag without needing to increase frames per second. Each 60 individual frames are refreshed to the display in a 1/144 second scan, rather than the traditional 1/60 second scan (top-to-bottom refresh process). LightBoost Sequel: More information about the earlier mentioned LightBoost sequel will be forthcoming at some future, once NVIDIA lets us reveal all! Keep tuned. G-SYNC is available as an Upgrade Kit for ASUS VG248QE monitors. For pre-modded monitors, see List of G-SYNC Monitors. The Time versus Eye Poisition graph is disregarding sample-and-hold (inherent in most LCD). Why? Simplification?